Majda and Nedim Rahmanovic (former owners of Twenty & Six Espresso) want you to feel like a guest, not a customer, at their restaurant, Host. 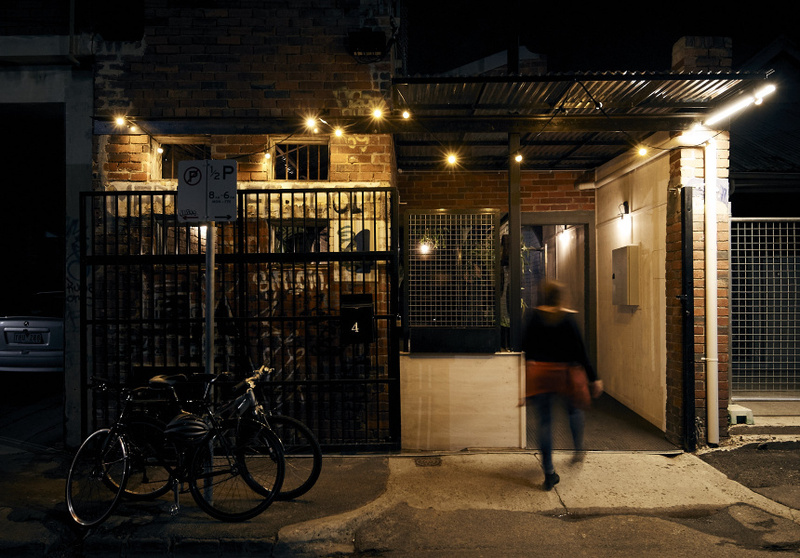 They’ve made the Brunswick space as welcoming and homey as possible. 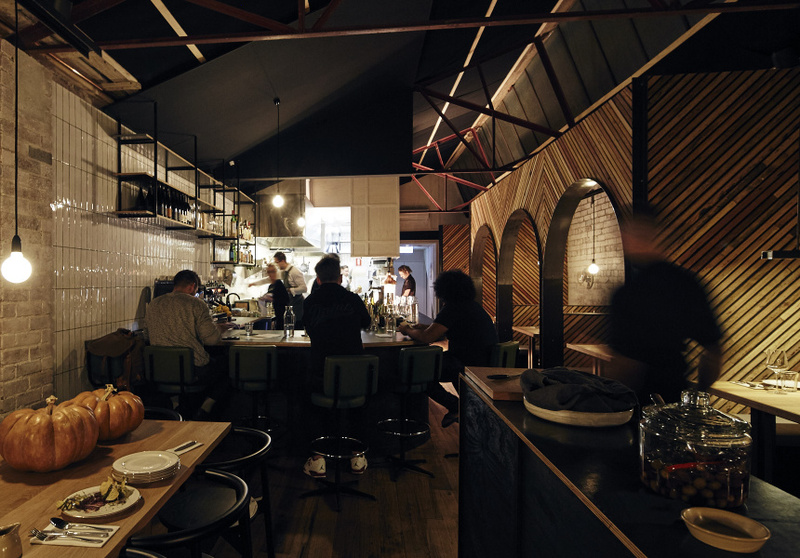 A big communal table, timber-lined booths and an open kitchen with bar seating occupy the main space. A small courtyard and dining room are up the front. Artwork by Sydney-based artist Simon Kennedy is on the walls – including a giant portrait of the late English writer Aldous Huxley. The menu is divided into three parts. There are five small dishes (such as grilled mackerel in dashi, and whipped blood butter with potato crisps), five large dishes (such as spiced quail with finger lime; or a mess of pine mushrooms and Jerusalem artichokes); and four desserts. All fruit and vegetables are sourced from within 50 kilometres of Brunswick, and meat and fish as locally as possible. 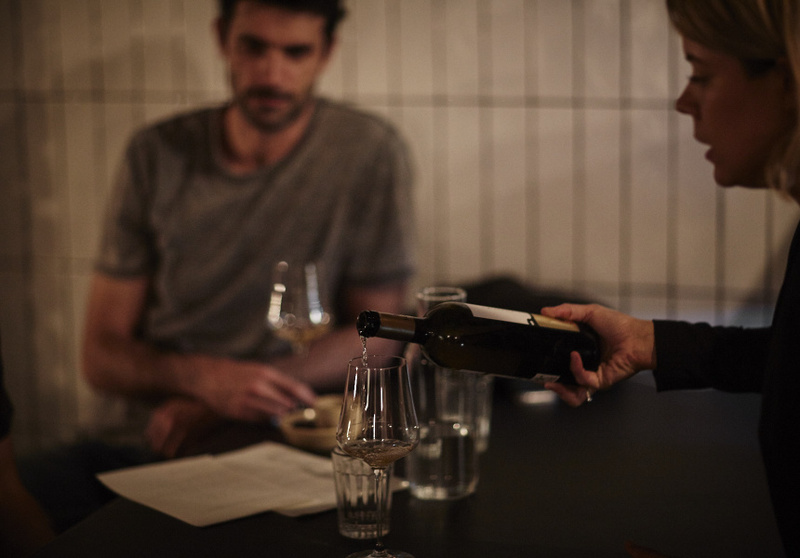 The wine list leans towards natural and minimal-intervention, but there are plenty of options for those who prefer more conventional wines. There’s a small cocktail list, but a big list of amaros and vermouths – a nod to Host’s local community. Coffee is made with Small Batch beans and Schulz organic milk.